Mila Kunis is an American actress best known for the movies like Friends For Benefit, Jupiter Ascending, Ted etc. She developed her passion towards acting since her childhood. In the starting of her career, she acted in different television series. However, she started her movie career in 2008 with her debut movie, Forgetting Sarah Marshall. Mila Kunis was born on August 14, 1983, in Chernivtsi, Ukraine. She is the second child of Mark Kunis and Elvira Kunis. Her father is a mechanical engineer and worked as a cab driver. And her mother is a physics teacher and runs a pharmacy. 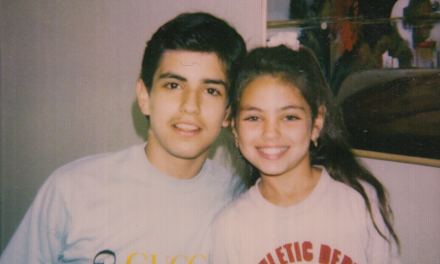 Kunis grew up along with her elder brother Michael Kunis. Likewise, her mother tongue and common language are Russian. At the age of 7, she moved to Los Angeles, California, along with her family in search of good future of Kunis and her brother. Kunis attended Hubert Howe Bancroft Middle School for her early education. Later she joined Los Angeles Center for Enriched Studies (LACES) but she was again transferred to Fairfax High School. She completed her graduation from the Fairfax in 2001. Moreover, she also attended Loyola Marymount University for her further studies. Since the age of 9, Mila started her acting career from the Beverly Hills Studios as her father encouraged her in that field. In the starting, she did the commercial for the Lisa Frank product line. However, in 1994, she gave her first television role on Days of Our Lives. After that, she acted in other television series like Baywatch, 7th Heaven etc. Until 200o she just acted on the television series. Coming to 2001, she acted along with Kirsten Dunst on series Get Ove It. However, in 2002, she directly acted on the DVD-horror-movie American Psycho 2. And starred in Tony n' Tina's Wedding but the movie got released in 2007. Well, in 2005 she acted on Moving McAllister and in 2006 she acted in Boot Camp but the movie released in 2009. However, her break out role came out in 2008 from the movie Max Payne. Because of her best acting, she was nominated for the Teen Choice Award. In the starting of 2009, her movie Extract was released. Well, in 2010, she was nominated for her first Golden Globe award for the movie The Book of Eli. At 67th Venice International Film Festival, Kunis won the Marcello Mastroianni Award for Best Young Actor or Actress. Moreover, she also won the Golden Globe Award and nominated for the Screen Actors Guild Award. Friends with Benefits, Ted etc are some of her famous movies of 2011-12. Kunis played the role of the witch in the movie Oz the Great and Powerful in 2013. She also acted in the crime thriller movie like Blood Ties. Besides this, she has also acted in the science fiction movie Jupiter Ascending. Well, on November 3, 2017, her new movie A Bad Moms Christmas movie will be released. Furthermore, The Spy Who Dumped Me will be released on July 6, 2018. In 2002, Kunis started dating an actor Macaulay Culkin. However, during their relationship, a rumor regarding their marriage surfaced on the internet but she denied it. Well. on January 3, 2011, Kunis officially announced her separation with Culkin. And said, besides their separation, they are still good friends. Well, in April 2012, Kunis started dating her co-star of That '70s Show Ashton Kutcher. This couple engaged in 2014 but married in the first week of July 2015 in Oak Glen, California. They welcomed their daughter Wyatt Isabelle in October 2014 and son Dimitri Portwood Kutcher in November 2016. Besides this, there are no any rumors of their divorce. Kunis suffered chronic iritis in 2011 which caused temporary blindness in one eye. Before some months she had the surgery of the same problem. Moreover, she is a heterochromia iridium patient because of that the color of her one eye is brown and another green. Mila Kunis is one of the richest actresses with a good net worth and salary. Well, her current net worth is $70 million which is totally worth. Moreover, she is also the highest paid actress of 2017 with $15.5 million. Kunis is active on social sites like Twitter with 4436 followers and Instagram with 109k followers.